A letter from you and a letter from me, And we could could save the KrKD! In an earlier post, I noted that writing letters and lobbying can make a difference. In particular, letters from the UK and USA do make an impression in Poland. I was therefore delighted to receive with the initial support for the campaign to save the Krosniewice Railway. In particular, it was heartening to receive a letter of support from Stephen Wiggs, the chairman of the New Europe Railway Heritage Trust. NERHT have been active in promoting the cause of heritage railways in Central and Eastern Europe and members of the Trust have visited Poland on a number of occasions. Thanks for your email… . I imagine that you may know that I am the Chairman of the New Europe Railway Heritage Trust, a registered charity set up in the 1990s to help railway preservation in the ex-Communist countries. As well as providing Western expertise we have quite a lot of experience in lobbying the authorities in Eastern Europe on behalf of tourist railway projects. This is now last chance saloon for the Krosniewice Railway. We now really need as many of you as possible to write to the Mayor of Krosniewice with a copy to the Minister of Infrastructure. If everybody who wrote a letter could get two friends to write, and they in turn go two friends… we would be victorious! This really is a case where the pen (or rather your favourite word processing program) is mightier than the sword. A number of BTWT readers have already copied us on their letters. We particularly like the one from Ed Beale, which we are reproducing in full – not to copy slavishly – but to help you get you to get typing! I am writing to express my concern about the end of passenger services and closure of the Krosniewice narrow gauge railway. Although I live in England I have made three visits to your unique railway in the last few years. I think it has great potential as one of the main tourist attractions to bring visitors in to a beautiful but little-visited part of Poland, and it can also continue to serve a public transport role, in particular to link Krosniewice with the main line railway stations at Ostrowy and Krzewie. As a much preferred alternative to closure it would be possible to develop a museum at the site and run enthusiast and tourist trains as well as continuing to operate a regular service of passenger and freight trains. With good marketing both locally, nationally, and in cooperation with railway enthusiast organisations in other countries, the number of visitors to Krosniewice could be greatly increased. On my last visit in February this year I was struck again by the unique atmosphere which the railway has preserved, which makes it very unusual in the whole of Europe as a heritage railway attraction. I was also very impressed with the friendliness of the staff. I would urge you to please reconsider the decision to terminate the operating contract. Without staff the railway would very quickly fall into decline and could be a target for vandalism. The sheds and workshops and the operational locomotives and railcars are a valuable asset which could very quickly fall into disrepair and would be difficult to restore to working order again. What can currently be operated efficiently with a small subsidy would then require a very large amount of money to bring it back into working order. I hope you will be able to reply to my letter, and I hope very much that the railway can be preserved for future generations to see and enjoy the railway heritage of the Krosniewice region. With the flash and thunder of detonators exploding under the wheels of railcar MDxd 1-204, the last train on the Krosniewice Railway ran today from Dabrowice to Krosniewice. The 15.23 from Dabrowice was the last of 4 trains operated today by SKPL, whose licence from the Krosniewice Town Council expired today at midnight. (The passenger timetable which was operated by SKPL until today is currently available here as a xls. file.) A crowd of people gathered to witness the event including a small group of enthusiasts from Dresden in Germany. By 15.48 the railcar was driven back to the engine shed and the manager locked the door for the last time. The closure of the line makes some 30 full and part time staff redundant, puts 100,000 tonnes of freight onto the roads and destroys a community railway which operated a daily service for passengers. The link between increasing carbon dioxide levels in the atmosphere and global warming was first proposed by a Swedish scientist, Svante Arrhenius, who warned in 1896, that the rapidly increasing consumption of fossil fuel caused by industrialisation would lead to increases in average temperature. A British scientist, G. S. Calendar, calculated in 1938 that mankind had produced 150 billion tons of CO2 over the last 50 years. In the 1950s, American scientists Plass and Revelle warned that global warming could become a problem in the near future. 270. No-one can contemplate with equanimity the doubling of roads within this decade necessary to maintain the status quo, and we must therefore seek sensible transportation alternatives. It is clear that broadly-speaking the only alternative is public transport-a mix of rapid mass-transit by road and rail. Rail especially should never have been allowed to run down to the extent that it has. The power requirements for transporting freight by road are five to six times greater than by rail and the pollution is correspondingly higher. The energy outlay for the cement and steel required to build a motorway is three to four times greater than that required to build a railway and the land area necessary for the former is estimated to be four times more than for the latter. Public transport whether by road or rail is much more efficient in terms of per capita use of materials and energy than any private alternative. 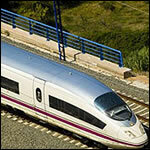 It can also be as flexible, provided it is encouraged at the expense of private transport. In 1985 a French-Soviet drilling team at Vostok Station in central Antarctica produced an ice core two kilometers long that carried a 150,000-year record, a complete ice age cycle of warmth, cold and warmth. They found that the level of atmospheric CO2 had gone up and down in remarkably close step with temperature. By the time they stopped drilling a dozen years later, the team had recovered ice going back 400,000 years, across four glacial cycles. The CO2 levels in their record got as low as 180 parts per million in the cold periods and reached 280 in the warm periods, never higher. But in the air above the researchers, the level of the gas had reached 350 — far above anything seen in this geological era and still climbing. The Intergovernmental Panel on Climate Change was established in 1988 by the World Meteorological Organization and the United Nations Environment Programme. In 1992, at the United Nations Conference on Environment and Development more than 150 nations signed a declaration committing themselves to reducing carbon dioxide emissions in their countries. In 1994, the IPCC stated that nations needed to make drastic changes in order to negate the effects of global warming. This announcement led to the Kyoto Protocol, an international agreement to fight global warming. The protocol called for countries to reduce their emission of greenhouse gases and was to take effect in 2005. The treaty was signed and ratified by 125 countries. However, the United States, which is estimated to be the world’s largest producer of greenhouse gases, refused to sign the treaty. In 2007 the IPCC shared the 2007 Nobel Peace Prize with former USA Vice President Al Gore. At the end of 2007 the IPCC released its Fourth Assessment Report (AR4) which provided irrefutable evidence how mankind’s activities are driving climate change. Since 2007, scientists have observed rapidly shrinking polar ice caps and have warned that as polar ice cover decreases so it will reflect back less and less solar radiation leading to an acceleration of global warming. UK traffic levels have risen some 11 per cent since Labour came to power in 1997. The three successive Labour administrations – the 2002 renationalisation of Railtrack notwithstanding – have done nothing to reform the dysfunctional management of Britain’s railways that they had inherited from John Major’s inept privatisation. Instead – after a brief pause – the government renewed the Tories road-building programme. Road transport is responsible for around 20% of total UK emissions of carbon dioxide. (Source: FOE press release) Emissions are rising because traffic is growing faster than fuel efficiency is improving. Aviation emissions have grown fastest of all. Since 1990, domestic aviation has seen emissions growth of nearly 100%, while international air travel emissions have grown by 123%. The government is well aware of global warming and rising sea levels and the government controlled quango, English Nature, has just proposed allowing the sea to engulf the northern Norfolk Broads! Meanwhile Department for Transport declares that it is ‘modally agnostic‘ while actively promoting a third runway – mainly to handle internal UK – flights at London’s Heathrow Airport. But above all else it should lead to a rethink of Heathrow, and the campaign by its monopolistic owner BAA to build a third runway in order to fill Terminals 5 and 6 with ever more passengers. Unfortunately the prime minister and the transport secretary seem convinced of the case. It would be better if they shook their heads after this week’s disaster and instead backed at least one new high-speed rail line from London to the north, which could serve Heathrow too. This is what has happened in the rest of Europe, where fast rail links from Madrid to Barcelona or Paris to Lyon easily trump flying. Not many of the passengers struggling to board short-haul flights from Terminal 5 yesterday really wanted to travel to or from London by plane. They were doing so either because British Airways has abandoned direct flights from regional airports or because, absurdly, it is cheaper to travel by air than by train. Even without short-haul flights Heathrow will still be packed. Many places can only be reached by flying. But there should be no need for BA to run 14 daily flights from London to Manchester. It will keep on doing so while the government tries to cap rail use. This week the Department for Transport delayed plans to lengthen Virgin Trains services to Manchester from nine coaches to 11. The government should change its mind on that, block a third runway and recognise that Heathrow has reached its limit. Terminal 5 will work in the end. But it is the new station at St Pancras which offers a real 21st-century gateway to London. Now as Terminal 5 chaos continues some MP’s are beginning to question the wisdom of building a third runway at Heathrow. Gordon Brown and Ruth Kelly, please note. There are a number of narrow gauge lines lines that are of interest. Obviously, Krosniewice is a major concern at the moment. I understand that a few more letters are heading from Britain to the Mayor of Krosniewice. It would also be interesting to know more about the situation at Starachowice. This seems to be another case where the local authority and the operating organisation have had a disagreement. The Starachowice Powiat, broadly equivalent to a UK District Council, are backing the plan to restore the Starachowice – Ilza line, but the council were dissatisfied with the rate of progress being achieved by the Fundacja Polikich Kolei Waskotorowych (Polish Narrow Gauge Railway Foundation). A breakaway group of FPKW volunteers approached the Council directly and criticised the FPKW’s President Pawel Szwed. He had been managing three projects: Starachowice, the Pionki Forest Railway and a skansen at Janow Lubelski, so he had little time to watch his back. Things came to a head when a group of FPKW volunteers took out an engine on a trip that was supposed to be a working party, but in fact was a private picnic. Szwed took away their key to the loco shed and the volunteers went bleating to the council. Since breaking with the FPKW the Council have been looking for a new operator to run the line. Do you know what has happened at Nw Dwor Gdanski? When I visited it a few years ago the preservation group seemed to be very ambitious about opening up as much of the system as possible and had restored some equipment to a very high standard. However, I have been told that the local authority was more interested in developing the railway near the coast rather than reopening towards Malbork. The original preservation society Pomorskie Towarzystwo Milosników Kolei Zelaznych (PTMKZ) considered that the 20km line to Malbork was an essential part of the project to restore some 50km of the Zulawy Railway. Malbork is a tourist hotpot with an amazing 14th C. castle built by the Teutonic knights. In March 2006, the Powiat Nowodworski (Nowodwor District Council) — citing internal disagreements within the Society — broke with the society, utilised 2.5km of the track formation for road improvements, and appointed a new operator. This left 30km of railway operational. The local authority is however unhappy with the new operator and a rapprochement with the PTMKZ seems increasingly likely. Finally, on a more historic note, what happened to the preservation attempt at Opalenica? The line provided the local towns along its route with a useful link to the main line system and carried increasing amounts of freight on transporter wagons until the link was severed with the main line around 1995. This was supposedly only temporary as part of the EU financed Poznan-Slubice main line upgrading works, but in fact the link to the transhipment sidings at Opalenica was never restored. In spite of this PKP built a new locomotive shed in Opalenica! 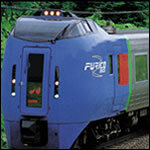 Later that year PKP withdrew the passenger services as well. A group of railway enthusiasts based in Poznan mounted a preservation attempt. The line was acquired by the local authority and listed by the Province’s Conservator of Monuments. Some special trains were run until 2002. Meanwhile the extension of the A2 motorway was being planned, by-passing Poznan and running on towards the German border. The Design, Build and Operate contract was won by Autostrady Wielkopolskiej SA which is controlled by Jan Kulczyk, Poland’s richest businessman. Mysteriously a key section of the railway — which would have needed an 1expensive motorway bridge — was suddenly removed from the Conservator’s listing. After the de-listing it was not long before the remainder of the rolling stock was removed, the track was lifted and the motorway built across the trackbed without any bridge.But this is not quite yet the end of the story. A group called Stowarzyszenie KOLD partly financed by the EU Leader programme is investigating ways of boosting agrotourism in the area. One of the options being examining is the possibility of using a rebuilt railway to carry tourists! …an electric motor with no bearings to wear out or lubricate. 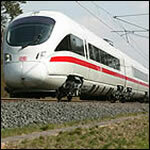 Imagine a train that could travel at 300 mph without causing any appreciable wear and tear to the track. Imagine the basic concepts demonstrated and proved by a British engineer and all the key design rights and patents belonging to Great Britain. So the UK government backs the project to the hilt? Wrong! The UK government pulls out and leaves the Germans and Japanese to take over the revolutionary trains commercial development. While a B&W film of Eric riding back and forth on his trolley was shown, the TV newsreader commented cautiously that it might take as long as eight years to develop a commercial linear induction motor powered train. I received this rather nice Easter e-card yesterday. A Happy Easter / A Happy Holiday (delete as may be applicable) to all BTWT readers. 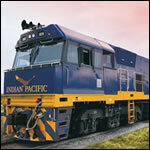 Fast trains are becoming cool! AskMen.com, an American lifestyle e-magazine usually more concerned with fast cars and fast women, has devoted three pages to reviewing the greatest trains in the world. It’s a great summary of the success that really high speed trains have become. Perhaps someone should send a copy to Ruth Kelly, the UK’s Secretary of State for Transport. Here is their assessment. BTWT has not endorsed the list. The French sense of style extends to train travel, naturally, with a smooth and rapid way for locals and travelers to get around. Like the AVE mentioned earlier, the TGV is an acronym, in this case “train à grande vitesse,” or “high-speed train,” and rightly so. 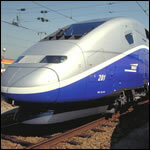 Testing found it to be the fastest wheeled train at 357 mph, and passenger runs hit 200 mph. The BBC’s Top Gear pitted its host in a race from London to Monte Carlo with the TGV versus Aston Martin DB9. While Jeremy Clarkson won at the wheel of the Aston, it wasn’t by much, and his driving skills are far superior to most of us hacks that watch him. 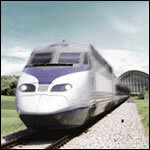 For us mere mortals, it’s a far safer bet to relax and trust the TGV. Japan’s original 130-mph “bullet train” of 1964 has inspired imitators, but the country’s high-speed trains are still among the fastest and most technologically advanced. Today, they’re better known by their official name, Shinkansen, or New Trunk Line (signs and information printed in English may still refer to them as “Superexpress”). Call them whatever you like; they’re reliable, safe and fast. Passengers aren’t treated to the same 361-mph top speed achieved in testing, but 186 mph still isn’t bad. Anyway, a study several years ago found the average Shinkansen nailed its scheduled arrival time within six seconds. 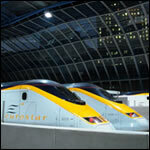 There are Eurostar lines throughout the continent (go figure), and they’re some of the best ways to get around. It doesn’t hurt if you’re in a hurry. The 1,290-foot trains cruise up to 186 mph in certain areas, yet the only real confirmation of this from your seat is the blurred scenery. It makes sense that few trains arrive late. All speed aside, one route stands apart. While it doesn’t move all that fast, the view isn’t that great and it continually operates at a loss, it still one you can’t miss, and here’s why: it’s the trip through Channel Tunnel, with the journey beginning at London’s historic St. Pancras International train station and ending in Paris. Like Italians, Germans know a thing or two about traveling rapidly. 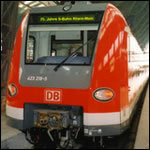 Unlike Italians, Germans have shown far greater acceptance of rail travel. 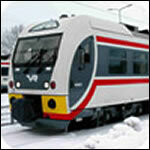 Deutsche Bahn keeps passengers moving by day with their efficient and popular InterCityExpress, better known as ICE. For overnight trips, there’s the inviting NachtZug, or Night Train. Yes, many an overnight trip has been taken with Night Train, so don’t let the name give you the heebie-jeebies. After this Night Train experience, you’ll wake up refreshed with your internal organs in harmony and no holding cell in sight. In a country renowned for high-speed transportation, there are trains that uphold the tradition. The problem is that this has been a well-kept secret amongst many citizens, so TAV’s existence and growth merits recognition in itself. Like the majority of Americans, many Italians favour travelling by car or by plane. Trains are gaining popularity beyond intra-city use, and considerable efforts are being made to emulate and connect with Europe’s finest. If you have a lot of time on your hands and a burning desire to live the experience, you can sit on a train for almost 6,000 miles on the Trans-Siberian Railway. Incidentally, the state-owned railway’s spot on the countdown is largely in recognition of the ability to operate the challenging stretch under frequently adverse conditions. For the rest of us with more limited time, attention spans and vodka than that trip demands, this is still the way to go between the Russian areas you’ll want to cover on a visit. It beats renting a Lada, anyway. The Korea Train eXpress is a modern take on The Little Engine That Could. 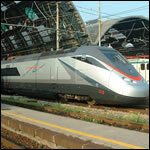 After the initial Seoul to Pusan route was finished in 2004, passenger numbers were short of expectations. That contributed to overall operational losses, and frequent train breakdowns didn’t help matters. Still, there’s progress. Line expansion is underway, and ridership is on the rise. It’s a worthwhile pursuit to live up to one’s name in the transportation game, despite what Greyhound would have you believe. On the other end of the spectrum is AVE. There’s kind of a double meaning going on here, since “ave” is “bird” in Spanish, though this is really an acronym for Alta Velocidad Española (Spanish High Speed). The duality is real, though. For example, service from Madrid to Seville is so consistent, fares are refunded if the train arrives more than five minutes late. Australian cities like Perth and Sydney are great to visit, but there’s so much more to the country. You need to see, well, the country. You could rent a ute, but all that driving is going to take a major chunk of time, even if you explore a region each time you visit. Your best bet is to span the continental coast and see a lot in-between on Great Southern Limited. Two of their three routes are long, multiday affairs, but given the accommodations and scenery, you probably won’t mind at all. Scandinavia is generally underrated and under-visited, making it an unlikely place to bump into the familiar faces you’re trying to forget on vacation. Finland is one of those countries that just works; it’s exceptionally clean, efficient and trouble-free. The state-owned VR Group is no different. When you manage to pry yourself away from Helsinki, VR is probably the best way to take in the countryside as you tour outlying areas. Many Poles are visiting their parish churches this morning with baskets of food, which are blessed by the priest (swieconka) and then become the centrepiece of the traditional breakfast meal on Easter Sunday. Catholics are supposed to have been abstaining from there hedonistic Polish lifestyles since Ash Wednesday. (Perhaps Mieczysław Olender, chairman of PCC Rail, should remind his staff?) In these materialist times not many bother to do so. It’s interesting to read about the experiences of someone who does takes their Lenten abstinence seriously. At this point BTWT readers may be wondering what all this has got to do with Polish Railways. Patience, dear reader, patience. Mike Dembinski not only runs the W-wa Jeziorki blog, but has been subjecting his body to the full rigours of strict Lenten abstinence. Read all about it here, here, here, here, here, here and here. Oh yes and Mike’s blog carries some interesting photography of the local railway scene as well! Yesterday’s Polsat TV News carried a news item about how passengers travelling on many trains on the Warsaw-Lodz line were seriously delayed after a PCC Rail diesel hauled freight train from Warsaw to Sosnowiec stopped mysteriously near Rogow. Single line working was in operation on this section because of the major rebuilding of the line currently in progress. Controllers at the Rogow signal box became seriously concerned as passenger trains began to stack up on both sides of the blockage and called out the police. The Police entered the cab and discovered both drivers fast asleep. Apparently they had a heavy drinking session the previous night. An interesting question arises, given that the train was actually stationary at the time the police boarded the locomotive, can they charge them with driving a train while incapacitated? Perhaps some good may come from the incident? Passengers forced to sit for 5 hours or more on the back-breaking seats fitted in the new electric trains may be angry enough to complain. PKP Prewozy Regionalne bought 11 of the new trains for 171 m PLN from Pesa Bydgoszcz Holding SA with the assistance of funding from the EU. Rarely does a web site make me sad and mad at the same time. This encyclopaedic photo gallery with photos by Jacek Raczkowski, Pawel Korcz, Tomislaw Czarnecki, and Artur Szymanski shows some of the steam engines that were scrapped at the very end of the 1990s and well into the 21 century in various locations in Poland. Particularly ironic is this Ty42 being cut up at Wolsztyn. It seems that every time they have a steam parade there, the local PKP Cargo management look at any ‘spare’ steam engines and order a ‘tidy up’, “Just get out the oxy-acetylene and cut down that pile of scrap.” The result is that virtually no steam engines have survived at Wolsztyn that were actually based there in the days when steam was the basic motive power in Poland. It’s crazy that, at a time when every country in Europe is promoting its industrial heritage, some Poles can be so short sighted. The sad tale of the Piotrkow narrow gauge railway, the Piotrkowska Kolej Dojazdowa, should be carefully studied by the management of all of Poland’s heritage railways. This narrow gauge line was built in 1904 to connect the small town of Sulejow to the city of Piotrkow Trybunalski. For most of its life it carried commuters from Sulejow and lineside villages to work in the factories of Piotrkow. Passenger trains called at 7 intermediate stations and took 59 minutes to cover the 17 km from Sulejow Pilica to Piotrkow Wask. After WW II the line had a major renaissance carrying lime from Sulejow in standard gauge wagons mounted on 750 mm transporter wagons. The lime was used in the sulphur dioxide filters at the gigantic Belchatow Power Station. Time passed, someone decided that cleaning the suphur emissions from Belchatow was an unnecessary complication, then in 2001, someone else decided that PKP should rid itself of all of its narrow gauge railways. A preservation society, Towarzystwo Przyjaciol Kolejki Waskotorowej Piotrkow-Sulejow, took over the line and ran occasional tourist trains within the Piotrkow city limits. The line was featured in a catalogue of Poland’s industrial heritage attractions published by the Polish Tourist Organisation. Just over 10 miles long, and running from Piotrkow, with its mainline connection, to Sulejow, with its many tourist attractions, (including a 20 km long artificial lake popular with sailors and fishermen) the line seemed an ideal candidate for preservation. But the Society failed to gain the support of the local authorities along the route, who had other plans. Whether this was the fault of the Society, the local authorities, or both, is a moot point! The Society lost much of its credibility when it acquired an Ol49 steam engine from PLP Cargo for a nominal price which is then promptly sold for scrap. This episode lead to a huge row within the Society itself. Threats of a police investigation and court action lead to the Society’s implosion. The track between the Piotrkow city limits and Sulejow was lifted in 2005. The remainder of the track within the city limits was lifted in 2006, leaving just the Piotrkow Wask yard and a few bits of rail imbeded in the tarmac at former level crossings. The rump of the Society still meet at weekends at its Piotrkow base to drink vodka and talk about how things might have been. They talk about a possible skansen and dream of EU grants. The engine shed still houses two Lxd2 diesel locomotives and a Px48 steam locomotive. Various items of rolling stock can be seen in the yard, but for how much longer? I was going to return to Poland today, but I’ve just come across two picture of Oxenholme Station which I thought UK readers and ex pats might find of interest. Oxenholme is the junction where the Windermere branch leaves the West Coast main line. The first picture is modern photograph by Rob500. The second is a a painting by Peter Owen Jones depicting the station at the peak of the LMS in the 1930s. What is amazing is how little has changed. Yes, the station canopy and overall roof over the bay platform are now clad in ugly plastic covered steel sheet and the overhead catenary is prominent in the modern picture. But the station has survived intact, without being cut down to a bus shelter and the Windermere branch trains still run from their own platform. It shows how more of the UK’s railways could have loked and survived if HM government had not been seduced by the road lobby. Those who read the Swallows and Amazons books as children may already know that Oxenholme is the model for Arthur Ransome’s station, Strickland Junction in the sixth book in the S&A series – Pigeon Post. Scenic Model Railway for Free! Behind The Water Tower was set up to bring the latest railway news and gossip to overseas friends of Poland’s railways. We wanted to ask for your help when a particular railway was under threat. Currently our main campaign to save the narrow gauge railway at Krosniewice. As well, as Americans, Austrians, Belgians, Brits, French, Germans and Latvians, we are also read by British ex pats in Poland. So perhaps we should leven our daily fare of what Madame Mayor had for breakfast with a weekly round up of UK and World rail news? So here is a beta test version. If you would like us to continue let us know. If you think Dyspozytor should just stick with Polish news let us know as well. When Steven and Marie Wright moved home to speed through the transaction, they told solicitors to leave a spectacular giant model train set, which had belonged to the previous owner, in the loft. Now the couple, who have three young children are inviting collectors or parents to take the grand creation off their hands. Mr Wright, a 36-year-old self-employed manufacturer, was so keen to move his family from Wrights Bank in School Lane, Coven, to St Paul’s Close in the village, he agreed to keep the track in case the hiring of tradesmen to dismantle it held things up. He said: “It belonged to the previous owner of the house who died. “He had obviously put so much effort into it that it seemed a real shame to just take a hammer to it. “It is really impressive and takes up the whole loft, which I would estimate is around 18ft by 10ft. Anyone interested in taking the train set should call Mr Wright on 07985 371954. The operators of the Russian Belkomur railway project are stepping up cooperation with regional authorities in northern Finland in an attempt to strengthen the link between Belkomur and the Barents Link railway project. The vision of the railway enthusiasts is a new railway connection between the Urals and the Atlantic Sea. The projected Belkomur line will run from the Ural city of Perm to Arkhangelsk. The Barents Link project links the Norwegian town of Narvik with regions in Northwest Russia. While the Komi Republic has had a central role in the Belkomur project, the administration of the Finnish Kainuu county is in charge of the Barents Link. The government and Network Rail are considering a £31bn proposal to build a network of 187mph high-speed railway lines that would boost the British economy and slash journey times. New studies drawn up by Atkins, the engineering consultancy, show how developing the existing west and east coast main lines could see journey times from London to Manchester reduced to 74 minutes, London-Birmingham to just one hour, and London-Sheffield to 79 minutes. Economic gains to the UK of £63bn far exceed the £31bn cost of building the network, says Atkins. The government welcomed the report: ‘We will be looking at the need for new transport capacity as part of our new approach to planning. We will consider all available options to provide the most efficient and beneficial solutions for passengers and taxpayers’. photo, The Great Central Railway was built in 1890 to provide a high speed rail route from Manchester to the Channel Tunnel. Most of the line was closed in 1966. After four years of negotiations, Poland and Germany have signed a deal dividing the costs of maintaining the 13 railway bridges connecting the two countries. The agreement reallocates maintenance responsibilities on all 13 railway bridges across the Oder River and its tributary, the Neisse on the Polish-German border. Currently two bridges are in such a bad state that trains can only cross them slowly. The new bridge over the Oder between Kunowice and Frankfurt on Oder will be entirely paid for by Germany for a total of 25 million euros ($37.3 million) and is needed to speed up trains using the main line from Moscow to Paris via Warsaw and Berlin. It will be in commission by December 2008! Poland will replace a bridge to Horka, Germany across the Neisse River. That link on the Wroclaw-Leipzig line is to be restored by 2011. The Polish Ministry of Infrastructure are not saying how much the project will cost Poland. Rather than splitting maintenance costs for the 13 international bridges, as at present, each bridge would be the responsibility of one country. Until Tuesday, each nation was responsible for the upkeep of one half of every bridge! Howard Jones is the man who has kept Wolsztyn alive as the last steam locomotive depot in Europe servicing steam engines that are hauling regular service trains – not steam specials or trains on a preserved railway. This short, but professional, film is a tribute to his achievement. On Sunday March 9 the final locomotives remaining at Krzeszowice, Ty45-158, Ty42-85, Ty51-17, were towed by PTK Holding’s TEM2-185 from the derelict ‘skansen’ at Kreszowice to the railway centre at Pyskowice. Ty45-158 had been based at the Pyskowice locomotive depot during its service life. The Pyskowice Museum is administered by the Society for Preserving Railway Heritage and Organising a Railway Centre in Pyslowice, Towarzystwo Ochrony Zabytków Kolejnictwa i Organizacji Skansenów w Pyskowicach. The Society are fighting to save the Pyskowice Roundhouse from demolition and hope to acquire the freehold of the former depot buildings. The TOZKOSP website contains lots of pictures, but like many similar Polish sites, no English text. The Pociąg Papieski is a quintessential Polish idea – a modern train running since 2006 between Krakow and some of the places closely connected with the early life of the late Pope John Paul II. On the plus side, it’s smooth running, kept immaculately clean and the local railwaymen are inordinately proud of it. On the minus side, it has absorbed an enormous amount of local authority funding, leaving little available for the other lines in Malopolska province. The seats are too small and too close together, and the in-train entertainment – non-stop videos of the Pope, interrupted only by ads promoting a 30 volume history of his life – are not to everybody’s taste. The reason that you’re reading about it here is that the original idea for a Papal Train, first mooted by Ryszarda Leszczynska in 2004, was for a daily steam hauled vintage train! Having a celebration – birthday, wedding or a divorce? Why not do something different this year? Hire a steam train in Poland. Poland is much more than cheap booze, beautiful women and drunken men. It’s a country with a glorious history. The 16th C Polish-Lithuanian Commonwealth stretched from the Baltic almost to the Black Sea. The Polish alchemist Sendivogius discovered oxygen in the 17th C. Polish chefs have invented 1001 ways of serving cabbages and, most important of all, in Poland in 2008 you can ride in the cab of a steam engine hauling an ordinary service train! So get out the railway maps and plan to start your celebration at St Pancras and then travel by Eurostar, Thalys, and ICE (or maybe even the LGV Est) to Berlin then by PKP EuroCity to Poznan and then by your own private steam train to wherever you fancy. Details from the Fundacja Era Parowozow.